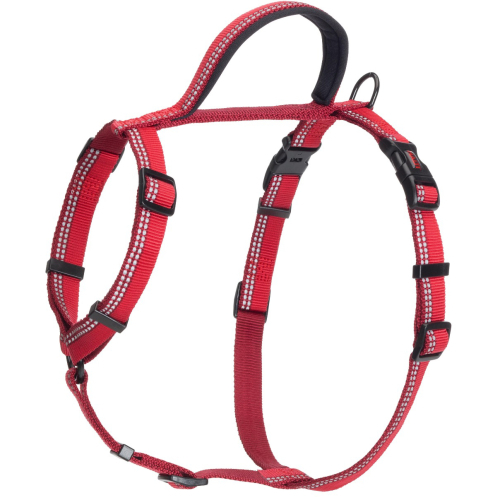 The Halti Walking Harness offers the perfect combination of style and practicality for everyday walking. Featuring five points of adjustment on the harness it ensures a secure, comfortable fit for any size or shape of dog. 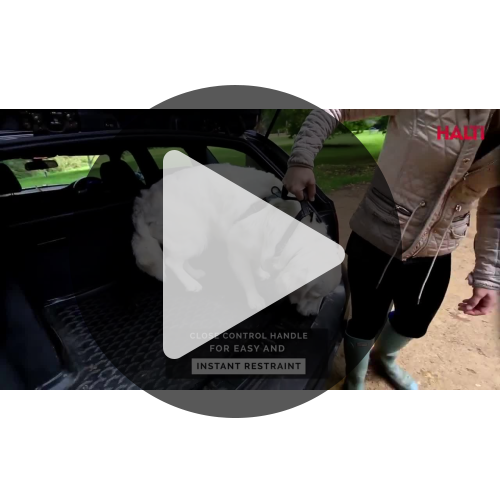 The two lead clip rings on the dog’s chest and back provide essential points of control for the more enthusiastic dog. •	Reflective 3M™ strip perfect for visibility in low light conditions. •	Five points of adjustment for optimum fit and comfort. •	Close control handle for instant restraint. •	Two lead clip rings on the dog’s chest and back, it offers control for the most enthusiastic dog. X-Small: suitable for dogs with chest circumference between 14-18 in / 35-48 cm. Small: suitable for dogs with chest circumference between 16-24 in / 43-60 cm. Medium: suitable for dogs with chest circumference between 22-30 in / 56-76 cm. Large: suitable for dogs with chest circumference between 26-39 in / 68-100 cm.